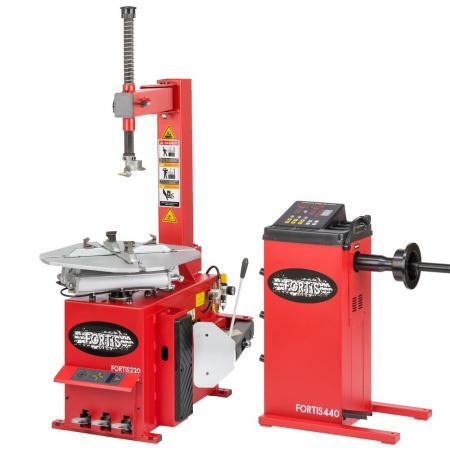 The FORTIS324 is a super automatic tyre changer with extra-large turntable and double assist arm. Designed for the ultimate in tyre machine capability, the turntable will handle up to a 28” rim with a 15” wheel width! The extra-large body gives unbeatable stability when working on the hardest tyres. 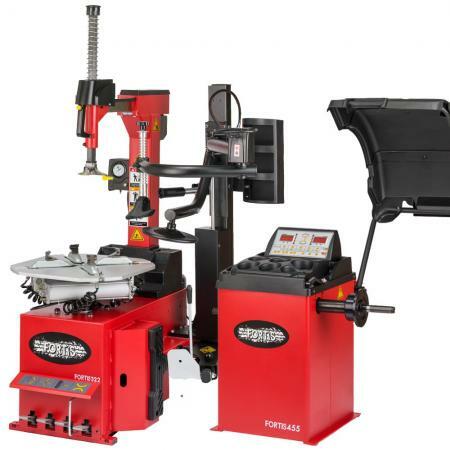 The perfect machine for tyre shops that are constantly handling large run flat tyre and wheel combinations. 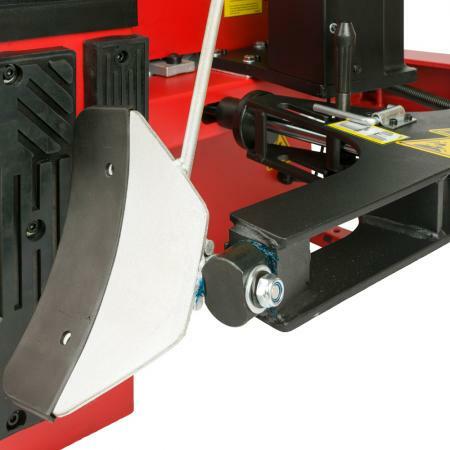 The mounting head locks in place with a simple push of a button and the machine is supplied with both a metal and nylon mounting head as standard. The ultimate in tyre changers, this is the 3rd generation of design for the Fortis 324. Taking into account recent changes in the tyre servicing market, design specifications have been upgraded. Features such as a double axis bead breaker shovel and new clamping jaw design has bought this model beyond many of those on the market. The clamping jaws now offer a 58Kg force to ensure that rims stay in place and with the included protection kit, wheels remain unmarked. 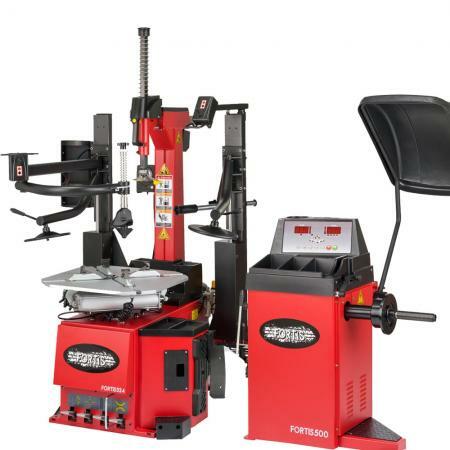 The FORTIS 324 is a super automatic tyre changer with double assist arms. 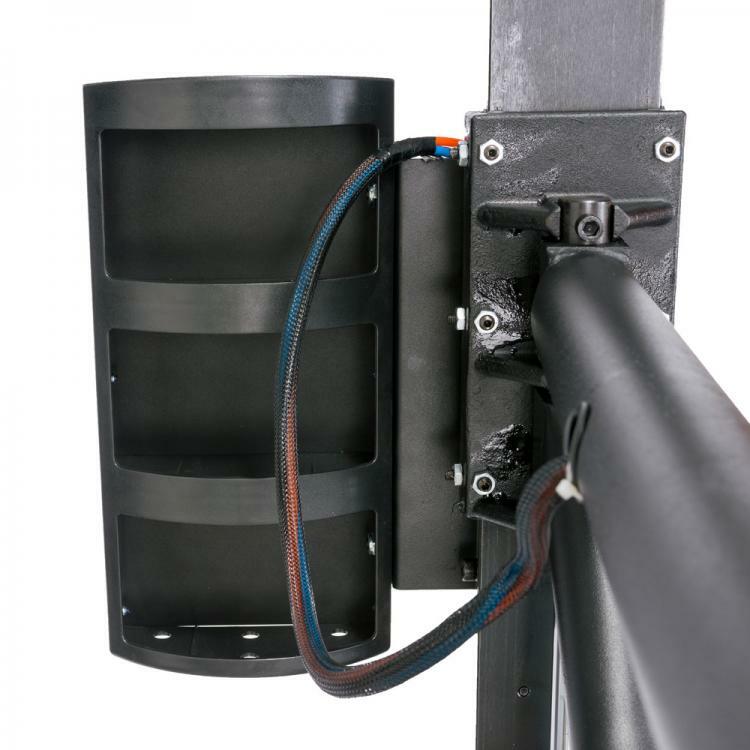 The locking mechanisms are controlled by pneumatics allowing the operator to lock the rim, mounting head and arms into place with simple one touch controls. The double assist arms aid in the fitting and de-mounting of even the hardest wheel and rim combinations. 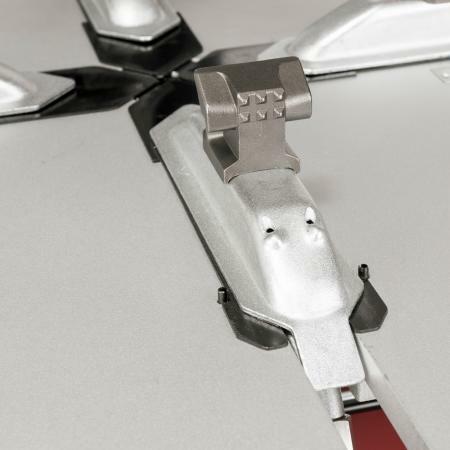 A powerful bead braking and clamping system ensures no movement during operation. 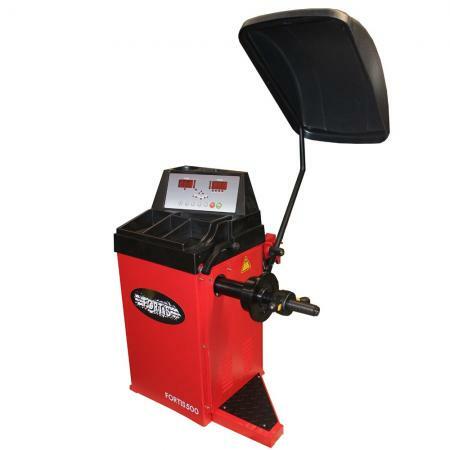 This Tyre Changer features a double stage, double axis bead breaker. 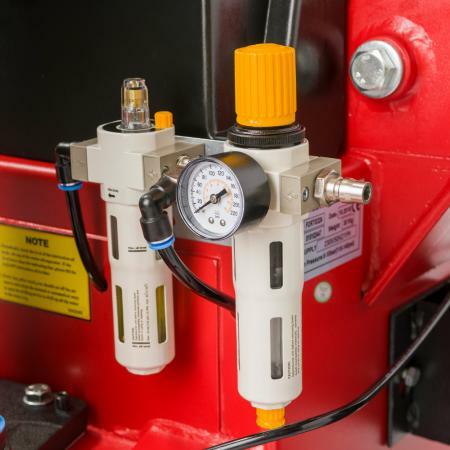 This means that the bead breaker can be adjusted to accommodate larger than standard rims. There is a simple to operate adjustment to ensure that the bead breaker can be set in 2 positions to accommodate a range of combinations. The FORTIS 324 comes with fast inflation as standard. 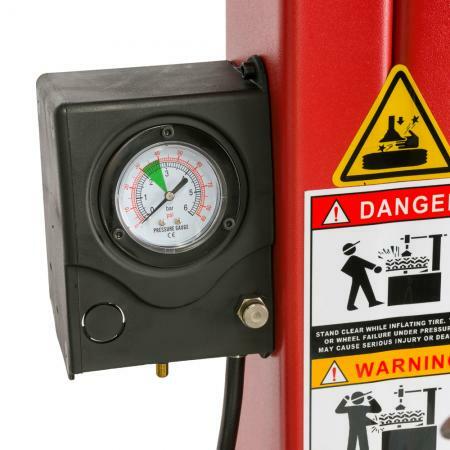 An air receiver on the back of the machine holds the air which can then be released by the push of a pedal. 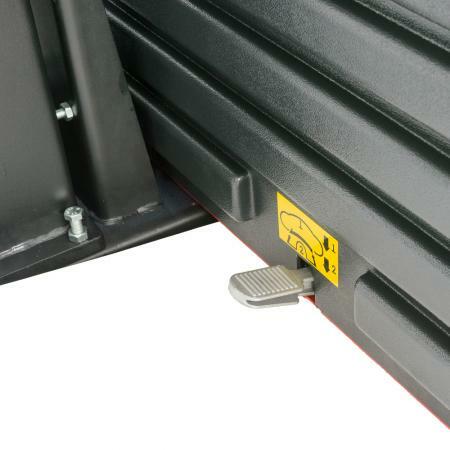 The released air comes up through the clamping jaws of the tyre changer, filling the cavity of the tyre and seating it. This replaces the need for a cheetah or bead seater. The double assist arm feature on this tyre machine offers all the help you will need with run flat and low profile tyres. 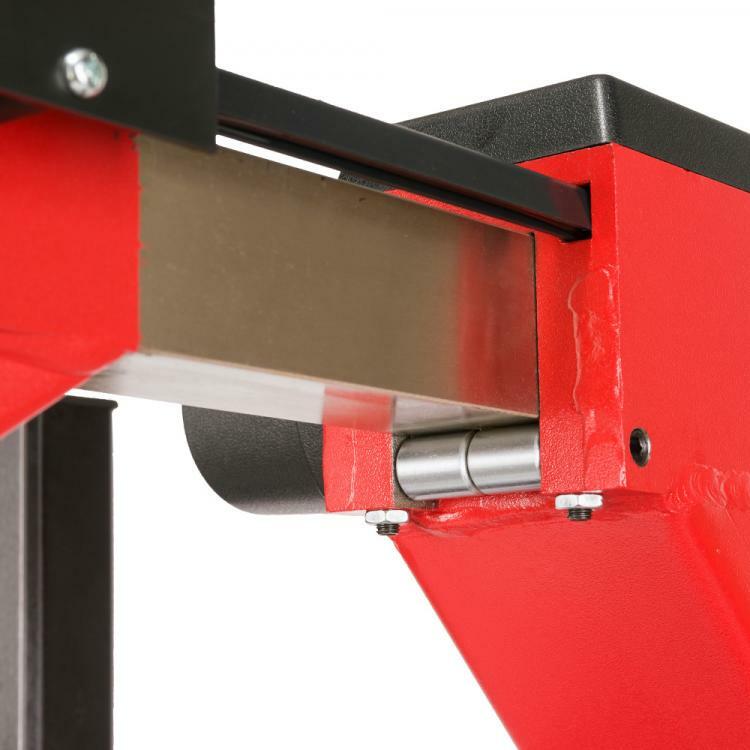 The double lower lifting disc will help keep the bottom bead off the rim when you are working on the top bead and the fixed and rolling clamps will assist in keeping the tyre in place during the tyre fitting process. The Fortis 324 has a massive 27” internal clamping diameter covering pretty much anything you will come across. Externally, the table will handle 24” alloys with ease and a maximum rim width of 15”. While unusual to come across such wheels you can feel completely secure that this machine will be able to handle some of the biggest tyres on the road.